Will you be applying for scholarships to study abroad? 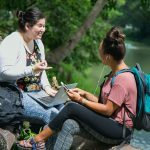 Whether you need financial support or not, scholarships make studying abroad a more enjoyable experience by easing some of the financial burdens. 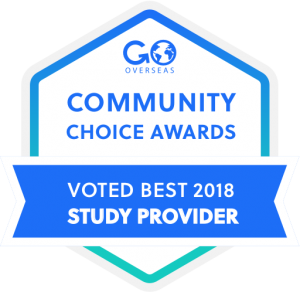 USAC offers more than $1.5 million dollars in scholarships and discounts each year to help students fulfill their study abroad dreams, but there are also a variety of third-party scholarship opportunities that students can apply for. One popular option is the Gilman Scholarship. This scholarship has been helping students study abroad since 2001 and every year a large portion of USAC students are awarded funds. Here are important deadlines to note. To get the specific application deadlines visit the Gilman Scholarship website. For the 2017-2018 academic year, more than 145 USAC students received the Gilman Scholarship to study abroad during the summer, fall, or spring terms. We spoke with the recipients and asked them to provide some tips for future students wanting to apply for this scholarship. While we were chatting we also found out why they chose their study abroad location. Here’s what they had to say. 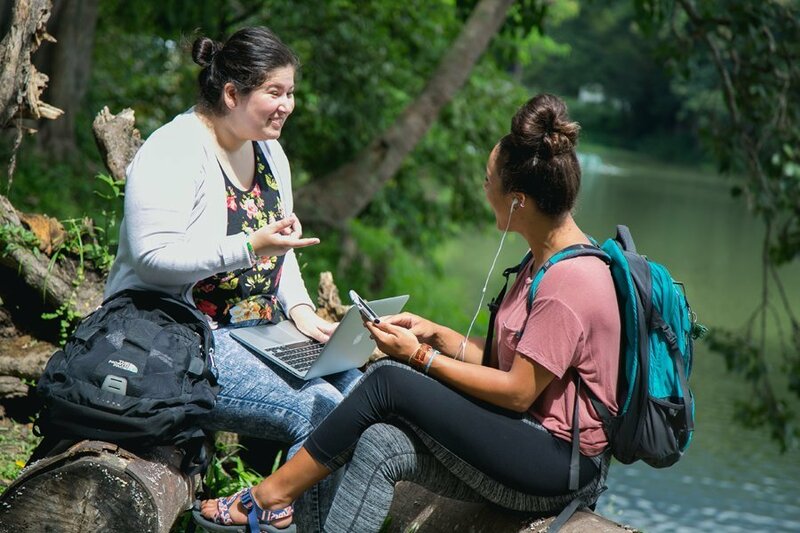 I chose to study abroad in San Ramon, Costa Rica because the courses offered here coincided with my Environmental Science major in addition to being in a tropical environment. I wanted to experience first hand the efforts Costa Rica is making towards sustainability and conservation. Being fluent in Spanish, I knew I wanted to be able to communicate and learn as much of the culture and interact with locals. I would encourage anyone who is eligible to apply and definitely have a mentor or their campus Gilman representative revise their application material. They are there to help! I chose my location because it included both nontraditional destination travel and an intensive language component that would allow me to bring back a marketable skill with me to the United States. In addition, I am currently interning at an institution serving lower-income marginalized communities and the ability to add this component really helped in the selection process. Being a representative of a traditional minority group in the US I knew I wanted an internship revolving around public service to a similar group here in Uruguay. My advice for future Gilman applicants would be to pick a location and program that they can tailor to their future career goals. For example, I chose Spanish in Uruguay because I desire to be a Foreign Service Officer for the U.S. Department of State and bilingualism is a very marketable skill in today’s global economy. 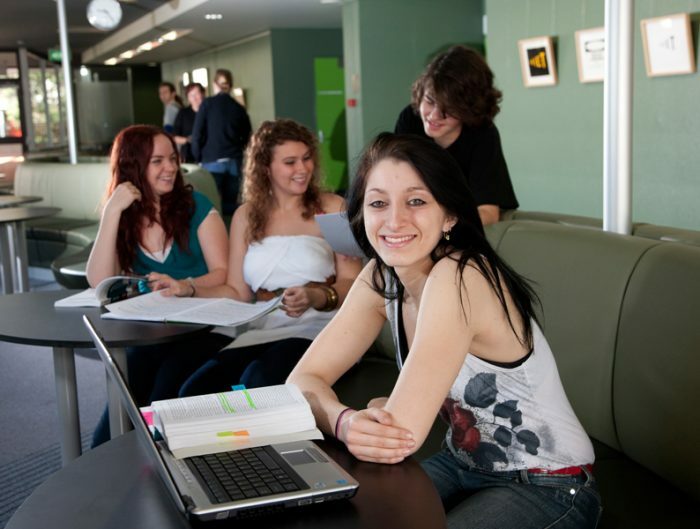 I chose my program location because Reggio Emilia not only offers courses that fulfill my home university course requirements, but it is a city that exhibits authenticity since it is not a huge city that attracts a lot of tourists; therefore, I am able to emerge myself in the Italian culture better. The advice I have for other students wanting to apply for the Gilman Scholarship is to definitely go for it. The application process is certainly reasonable especially if you do get it. I chose this location for various reasons. I wanted to learn more about Latin America and as well as exploring the country’s beautiful biodiversity. My advice to future applicants is to start early and meet with an advisor who can help guide you. I was honored to receive a scholarship of $5,000 and I am honestly very blessed to be given the opportunity. I chose Chengdu, China for several reasons. People kept saying Chengdu was “China’s China” and fairly untouched by foreign influence, which has remained true. 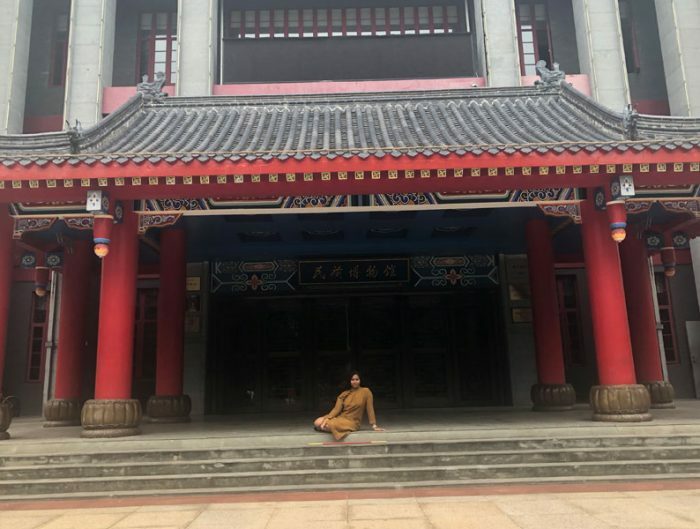 China appealed to me because I’m interested in stories and literature and I grew up learning European/Western stories, so I thought it would be exciting to gain access to a new set of stories and traditions. As for advice to anyone applying for the Gilman—be honest. If you tell the truth and let your passion show, Gilman will know. I’ve always loved India since I was a little kid – the food, the movies, the clothes, the Hindi language – everything. It was a natural choice. As I’ve spent time in college I’ve also become interested in how identity and culture play into health care and medicine. India is such a diverse country, and I wanted to experience something that was totally opposite and new to me. Think of a Service Project that is somehow unique to you and your past. Describe it in extreme detail. Find someone that you trust who can edit your essays. And not just someone who will sugar coat it – find someone that will tear it apart and leave no stone unturned! Remember that the Gilman people who review your application know nothing about you except for what you write, so use your words carefully and creatively! To be honest Brazil chose me. I wasn’t sure where I wanted to go but I knew I wanted it to be a place where music, the universal language, speaks loud and expressive arts are welcomed as a healthy part of everyday life. The location was between Africa and Latin America … A USAC counselor told me this was the place for me…Florianópolis, Brazil!! Music is my major and I have a double major in Latin American Studies. I would like to bring back rhythm demonstrations, or music videos to future study abroad students in order to encourage the Gilman scholarship. I will use videos, pictures, and interviews to show at international festivals and study abroad fairs. My advice would be to start as EARLY as you can on the scholarship application and essays. Order transcripts first thing! They take time to process and mail and figuring out how to scan/upload them to the computer could get tricky. Have at least three people read the essays and have patience with the process. If it was anything like what I went through applying for scholarships was like having an extra class on top of 16 units – filling out applications and writing essays about my intentions for study abroad. Take the essays seriously and use it as an opportunity to really understand your intentions, what are your goals for living in another country, what do you want to gain from this? This gave me solid goals that I believe will definitely come true just because I wrote them down. As an engineering student who needed advanced and specialized coursework, my options were limited. A few schools offer the course I need, and from those, I chose based on interest in the area and language compatibility. My program with the University of Bristol brings me to a world-class school with a great program for engineering and an interesting culture. To other students who are applying for the Gilman Scholarship, understand what you are getting into, and identify the interesting or challenging parts of your chosen program. Then, when you write your application, speak to your personal goals and the way this experience will help you reach them. If your school has a dedicated study abroad office or advisor (most do), they will be a great help to you as well. Norway is where my family originated, so I chose the location in Oslo to become more familiar with cultural ties to my heritage! I hope that interacting with local Norwegians will allow me to pick up on certain mannerisms and see life through their eyes… but I am also looking forward to living in the international student village because there are a plethora of nations and lifestyles to observe in our own dormitory! Applying for the Gilman Scholarship is a journey in and of itself. It will draw important answers out of you that, as a student longing to see more of the world, you truly have deep inside of you. Articulating those answers can be tricky, but your voice and perspective is so valuable. Allow yourself to enter the intimate parts of your heart and mind and answer honestly when you describe what the opportunity to travel means to you because the investment you make in yourself will be one you continue to give back to the world for the rest of your life. That passion is contagious, and it will be exciting for others to want to support you as you pursue your goals! 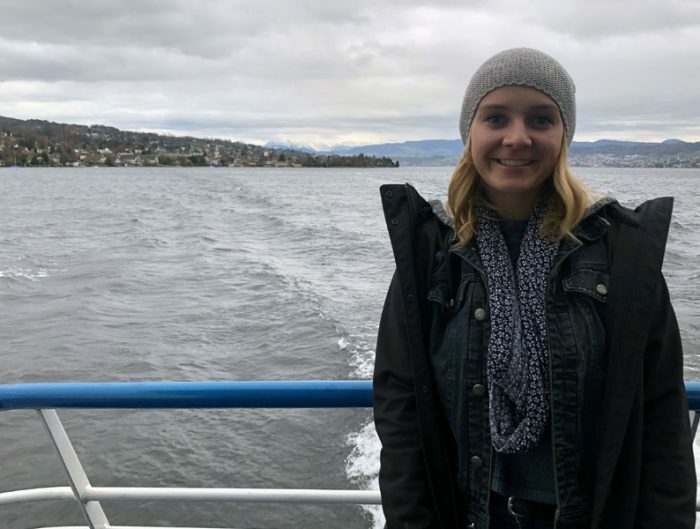 I chose Lyon, France because I wanted a city where I could really explore French culture and customs in order to enhance my French speaking skills. Give it your all. The Gilman helped me understand myself better, simply by letting my thoughts flow in my writing. Of course, I rewrote my essay about 30 times, but it’s worth it in the end. First of all, I wanted to study in a place completely different from Western culture. Thailand seemed to be a good match. I wanted to study in a majority Buddhist country since the values of compassion and respect are central to the philosophy. Personally, I’m trying to develop my empathy and selflessness. Thai culture is very outwardly focused, caring about each other much more so than in America. I also chose the Chiang Mai program because of the opportunities to explore jungles and raft down rivers. As for advice, I would talk to your Gilman advisor (if you have one) as much as possible. I had written the first draft of my personal statement which was far from satisfactory. I ended up scraping the first draft and completely rewriting it, using the advice from my advisor. Have them read it, edit it, and go back as many times as possible to ensure it illustrates how your experience led you to your chosen program. I would also think about an internship as it will boost your application. When applying for study abroad I chose to study in The Hague, Netherlands for many reasons. I realized that as an individual focusing in the field of peace and conflict resolution with an International Relations degree, it’s important for me to interact with different cultures, gain conceptual insight, and hands-on training, so my passion for peace and justice transforms into visible change. The Hague University of Applied Sciences in the Netherlands (THUAS) will give me an opportunity to combine these principles together. THUAS offers law and political science classes that focus on the international perspective, an ideal course of study for my major. NATO & International Security, Crisis Communication, and Human Rights Law & Conflict Resolution are some class titles that intrigued me. These courses fit my degree while allowing me to study through a global lens that UCD could not offer. THUAS also offers a unique opportunity called Project “Europe 21”, an intensive and practical six-week independent research project, where students work to identify a solution to a real-world problem posed by a local organization. Student teams work with local organization support members, and their solution is assessed by a committee of faculty and external representatives. This project would be a valuable opportunity to make my voice heard in world issues. The city where I intend to study, The Hague, was dubbed “the home of international justice” by Ban Ki Moon, former UN Secretary General. I could not think of a better place to learn about peace issues than a city that is home to the famed Peace Palace and the International Criminal Court. The Hague is also home to international organizations such as the Global Human Rights Defense. On my arrival, I will seek opportunities with international organizations and begin making connections in the field of international peace and global aid. On a personal level, I know this study abroad experience will give my degree a unique global aspect while building my problem-solving skills. It will help me gain a diverse worldview, become an independent thinker, and prepare for a career in a cosmopolitan environment. My advice for prospective Gilman scholars is to put the most effort into the written statement and service project, and write about what matters to you. Show purpose in your statement- explain how you prepared to study abroad and how this experience will allow you to achieve your goals. 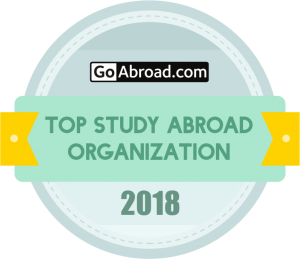 Finally, believe that you have the opportunity to study abroad even if your financial circumstances are more difficult than others and show the committee a clear link between your study abroad experience and your future career goals. From England’s popularity in a destination, television programs I grew up with, and their worldwide recognition for higher education, it is needless to say, I was attracted to the country. While most students would choose to study in the glamour and hustle bustle in the city of London, I selected the University of Bristol for their research excellence and mathematics area. My advice for anyone interested in the Gilman, is to truly express your interest in detail in the essays on the application. This is your chance to express yourself and describe your dream adventure abroad! Last summer, I went to both Europe and the Dominican Republic and absolutely loved my experience. I wanted to learn Spanish, but am a tad too scared to go to South America or the Caribbean to complete my studies so I thought Madrid was the perfect medium for my comfort/curiosity zones. My minor is also in Spanish so this is me killing two birds with one stone. The only advice I have for those applying to the Gilman scholarship is to prepare a well-dictated personal statement. Keep it informative, but concise. I chose San Ramon, Costa Rica because as a biology major I was drawn to the biodiversity of the country. The range of microclimates in Costa Rica is amazing; near San Ramon there are rainforests, cloud forests, mountains, and volcanoes, and these are only a few of the climates and topography of the country nearby. The San Ramon location also had many upper division biology classes that I would have taken for my degree regardless of school, and my objective in studying abroad was to put myself in a location where I could engage with the environments I was studying in class, just by walking outside the classroom. My advice for students wanting to apply for the Gilman Scholarship is to be as honest in your essay of explanation of financial need, and as creative in your follow along project as possible. Also, it’s always a good idea to have others proofread what you’ve written! My major is Psychology and my minor is Child and Family Development, the focus of my education has always been based on children. While learning about the best practices to use for educating young children, one teaching method always stood out to me: the Reggio Emilia Approach. I chose to study abroad through the USAC Reggio Emilia program because of my interest in the Early Education classes offered in Reggio Emilia. I am so excited to study Early Education in the town the Reggio Emilia Approach originated in. Start early! Have as many people read it as you can. My family and friends read draft after draft of each of my essays. If your school has a writing center, you can take it there. Study abroad advisors are happy to help too. The Gilman Scholarship loves to award people of all types of backgrounds. If there is something that makes you special, make sure to mention it. For me, it was being a first-generation student. Maintain the theme of your essay, but don’t be afraid to be funny or add personal anecdotes. The more you stand out, the more likely your chances of winning are. The word count for the essay is just maximum. Don’t worry if you are under the word count. Make sure you answer every question but don’t make it too wordy just to reach the maximum word count. Make sure your Follow-on Service project is original and try to make it something you’re passionate about. They read a lot of essays suggesting blogs. Unless you have a new take on blogging or are already a blogger, I would avoid making your project based on one. Be patient! Waiting to hear back was so stressful, but it was all worth it in the end. I chose to study abroad in Spain because of my love for both Spanish and European history. I’ve always been interested in learning about the history of Spain, from it’s pre-roman roots to more recent times. I decided that if I was going to study abroad anywhere, it would be valuable to experience the history and culture of Spain first-hand. For other students applying for the Gilman scholarship, I would simply recommend being honest about your reasons for studying abroad and your financial need. Don’t be afraid to let your personality and personal history show in your application! I chose the program in Valencia because it fits both my academic and personal goals. I am a Biomedical Engineering major, so a majority of programs do not offer the courses I need such as physics, calculus, and chemistry. When I heard that the Polytechnic University of Valencia offered the courses I needed, I made it my number one choice. Additionally, I am a Mexican- American who has learned Spanish in my household and in class; however, I am interested in learning Spanish beyond words upon a page. When it comes to applying for the Gilman, humble yourself in every aspect of the application. Do not be afraid to reach out to your Study Abroad advisors at your university so they can review your application. For the essay portions, write about your own life experiences with clarity, precision, and genuineness. Your ability to accurately convey your desires and goals will set you apart. I chose my program and location because it was such a great value. I love France and like most, I was going to choose Paris, but Lyon is cheaper and also a really cool city. My advice to future applicants would be to start the application EARLY! Organize your thoughts together for those essays and have people read them over and look at them. Look at example essays of past recipients. It makes a difference. Starting early gives you more time to catch mistakes and get those required documents in on time. I chose South Korea as my study abroad location for many reasons. A year before signing up for a program, I was trying to decide which country in Asia to study in because I always had an interest in Asian culture. Through my friends help and doing lots of research, I became infatuated with the idea of studying in South Korea. The language, culture, and technological advances are only some of the reasons I chose Korea. Some advice I would give someone applying would be to have someone edit their essays a few times before submitting it. An English major friend of mine and I went back and forth editing these essays until I finally thought it was good enough to submit. Being able to travel and experience South Korea’s culture had always been a dream of mine for many years. When I realized that there was a way I could not only make my dream come true but also have the opportunity to study abroad through USAC I did not hesitate to choose the South Korea program location. I would tell students that although it might be challenging when writing the essays, to not be discouraged. Also, do not wait until the last minute to begin the application and the essays. The earlier they start the process, the more time it will give them to have everything updated in their application and the more time they will have to make any possible changes to their essays. To begin with, in my life I have endured various traumas that have significantly impacted me. I was motivated to seek a path to healing, and unfortunately cannot afford therapy. Part of the practice I have developed to help address the hardships I have faced has been Buddhism, yoga, and following a healthy lifestyle. Skills like mindfulness, breathing and cultivating compassion for myself and others have all been results of this practice and have made a positive benefit in my life. I am also committed to social justice and non-profit work and am intending on working with traumatized communities. I believe the skills I have found from yoga can be translated to others and made very accessible. This is one of the reasons I chose to come to India because I will be able to immerse myself in yoga and receive my yoga teacher training for an affordable price. I also found an opportunity after my semester is done to stay in India to work on an ecofeminist social justice farm. Food security is another area that I plan to work in and I found a 6-month internship to do after I finish my USAC program. I plan for this trip to be the foundation of my career. I’m not very sure about my advice. I am very fortunate because for my application I was able to communicate how this abroad opportunity is connected to my passion and career goals. I am also a Trans individual and one who has financial need. For these reasons, I am not a very traditional student. I suppose that I would genuinely present who I am and my reasons for studying abroad. Try to have reasons more in-depth than a general desire to travel and see a different culture. For me, it was a desire to study a tradition of healing that I can use in my career in working with trauma. Also, I went to their website and I read all information available to me. Even though reading every page on their website was got redundant I gained a strong understanding of their mission and the language they use. I considered both when writing my essays, which I also had my professors review extensively. I chose to study in Prague, Czech Republic because, as a photojournalism and linguistics major, Prague is an epicenter for media studies and offers the opportunity to study a new language as well. I wanted to study and experience non-American media and culture in a location that I have been interested in for a long time. I think the advice I would give to other Gilman applicants is to share a story in their application. A personal anecdote shares a little bit more about who you are as a person and the people reading your essay have an opportunity to get to know you. They read thousands of essays about why people want to study abroad and they don’t get to know everyone. Giving them that chance will make your essay stand out. I chose Thailand because I’ve been interested in eastern culture/ religion for a long time now and I wanted to get a first-hand experience of it. My advice for students who are applying for the scholarship is to make sure that their essays are proofread several times, as any grammatical issues immediately bar them from receiving it. I chose Bilbao because the Basque Country holds a special place in my heart. I was fortunate enough to grow so close to someone who was raised in the Basque Country and calls it home. Her stories she would share about her life was so fascinating, and after she passed I was only eager to learn more. Applying for the Gilman is no joke but it was the best decision I made. I spent weeks writing and refining my paper. I wanted to tell my story and I wanted to tell it in a captivating way. I wanted the scholarship committee to truly understand who I was and why I wanted to pursue this journey. Don’t be afraid to ask someone to read over your paper. I had three people read over it and revise it. It helps you out so much and gives you someone else’s perspective on what they are reading. I choose to study abroad in Chiang Mai, Thailand because it offers unique biology courses for my degree, and I want to experience the exotic, beautiful, and rich culture of Thailand. I advise future students to use the resources available to you through the USAC and Gilman websites, especially the webinars. They help you understand what they are looking for in their applicants, and they give you advice on how to make your application stand out. I chose to study abroad in Pau, France because I wanted to be fully immersed in the culture and traditions of a new country and to go to bed each night exhausted from the experience of the new culture. Pau is a smaller village in the southwest of France, located at the base of the Pyrenees and across the border from Spain. As an avid outdoors-woman, I am ecstatic to be at the base of such a mountain chain and experience all that it has to offer. In addition, I also chose to study in Pau since rather than living as more of a tourist as I would if I were in a larger city, I hope to come to know the locals and their traditions and hear the personal stories and struggles of the natives of the village and their ancestors. I encourage other students hoping to apply for the Gilman Scholarship to sit down and go for it! When you’ve finished your essays, give them to multiple people to proof-read. Don’t let them change the information you give, but use them to improve grammar and sentence flow. Your study abroad coordinator would be a great start to proof-read your essays, as they have probably helped former Gilman recipients with theirs. Be authentic and speak from your heart! I’ve wanted to travel to South America, specifically the Rio de la Plata region, for many years now and get the opportunity to immerse myself in the culture and language of a Spanish speaking country. I chose to study in Montevideo, UY after learning that USAC had started a program here because it seemed like a perfect fit for me based on my research and study interests. My biggest piece of advice would be to plan for the application early. I started thinking about applying for the scholarship several months before the application opened and I utilized the full amount of time given to submit. The application process requires a lot of steps to be taken to complete it, therefore, it would be best to not leave it until the last minute. I am pursuing study in Spain to experience a facet of the Spanish language and Hispanic culture that I have had less exposure to. A desire to become fluent in Spanish and learn about a country I have only read about in textbooks lead me to choose Spain as my country to study abroad in. My desire to learn Spanish stems from my desire to connect with and better communicate with nearly 20 percent of the US population. I chose Alicante because of the small program size and unique, less popular destination. By studying in Alicante, a less traveled to and studied in destination, I will get a more authentic experience interacting with members of the community more and tourists less. It also means that the people around me will be speaking mainly Spanish and not Catalan or English. Studying in a location where I can form an intimate relationship with the community and its members, I will learn conversational Spanish as well as advanced grammar in my Track III language courses. When applying for the Gilman Scholarship, don’t be afraid to seek guidance, especially if this is your first time applying for a competitive scholarship. Watch the videos on the Gilman website that take you through essay brainstorming and read through the submission tips. This can help you understand exactly what they are looking for and help vanquish writers block. Take advantage of your university’s study abroad office and/or scholarship and fellowship office. Employees in these offices have great insight and essay revision skills. Many of them may have even scored the Gilman or scholarships of the like and know what graders will be looking for. If possible, talk to Gilman Alumni on your campus to get a feel for the process. Last but not least, be true to who you are and don’t be afraid to get personal in your essays. Adding unique details about who you are will make your application more memorable and more human. I chose South Africa because I didn’t want to go to a “typical” study abroad location and picking South Africa felt right to me. My advice is to start writing your essays early! I chose Korea because I have long been interested in learning to speak Korean.The opportunity to finally solidify some degree of fluency through immersion was something I simply could not pass up. I have also been told about how excellent Korean university engineering programs can be. However, I knew selecting a city and school needed to involve some strategy to maximize my Korean learning goals. I found that the larger cities in Korea, while full of opportunities for interaction have become increasingly westernized in culture. Therefore when meeting foreigners (as is common with international tourists in Seoul, and foreign government members in Daejeon), Koreans will be more inclined to speak in English. My research revealed that Gwangju was somewhat of a cultural hub with a history behind it, as seen manifested physically in the 5.18 memorial park. On top of that, it is small in comparison to other cities and I feel that I will find deeper immersion in the culture there with these factors in combination. I have too many tips but here’s what I would tell my past self if I could: Yes, you are applying; don’t even question it. Before you do ANYTHING, go through the Gilman scholarship portal and review all of the pages. Do not forget to double check and write down the character limits for your essays. Set your deadline at least two weeks before the scholarship deadline for all of your essays. You’ll need those two weeks to get input from friends, family, and your study abroad advisor; have your school’s writing center give suggestions to improve it; and go through to perfect the essays. You’ll make fewer mistakes if you aren’t rushing, trust me. I chose Madrid, Spain as my program location because it is a very important goal of mine to learn how to speak Spanish. I also was drawn to Madrid because of the accessibility of fine art museums and beautiful architecture. My number one piece of advice for students applying for the Gilman scholarship is to take your time on the essay and the follow-on project proposal. Don’t just go with the first thing on your mind; really reflect on why you want to study abroad so that you can come up with an essay and project that will stand out from the crowd. I chose Germany because I am in love with the German language and culture. I have been studying German for two years now and am ready to be immersed in the culture and language. My advice is just to be yourself in your essays. Start doing everything early; there are many videos and blogs about what you need to apply. Start gathering your things in a folder on your computer. Start those essays as early as possible. It is a process, but it is worth it. If you’re feeling ready to apply for the Gilman Scholarship you can do so on the website.